Headaches are so common that most people will deal with more than a few over the course of their lives. While headaches can come and go, chronic problems with head pain can be life-altering. At Regional Pain Care Center, the pain management doctors specialize in treating chronic headaches, from migraines to occipital headaches. If you’re in Allen, Texas, and you’d like to learn more about headache treatments, call or book an appointment online. What are the major types of headaches? There are many types of headaches, which can be primary or secondary. As an example, a migraine or a tension headache is considered primary since it isn’t related to any other problem. A headache as a result of a sinus problem is considered secondary, since it stems from another condition. These headaches come from a condition known as occipital neuralgia and involve your occipital nerves, which start at the top of your spinal cord and run through your scalp. When these nerves are compromised by disease or injury, they can cause moderate to severe pain in the back of your head or neck or behind your eye. When it comes to migraines, medical researchers remain uncertain about the underlying cause. Some believe that genetics and environment have a hand in their development, but no cause has been definitively identified. Occipital headaches, on the other hand, are caused by occipital neuralgia, which is when your occipital nerves become irritated, compressed, and inflamed. This irritation can be brought about by anything from direct trauma to your occipital nerves to tension in your neck. The doctors at Regional Pain Care Center have a number of tools for chronic headaches, the main one being occipital nerve blocks. Many headaches involve your occipital nerves in one way or another, since they’re the nerves that connect your spinal cord to your brain’s neural activity. 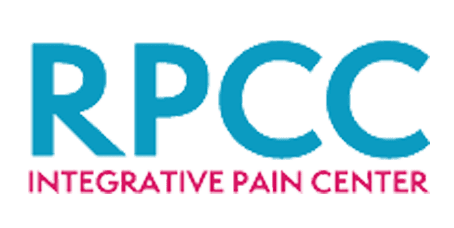 With an occipital nerve block, the doctor injects a solution that contains an anesthetic and anti-inflammatory in order to quiet and numb the nerves. In more severe cases, the doctors perform an occipital nerve rhizotomy to sever the nerve completely, or an occipital nerve decompression, which is a surgery to relieve the pressure on the nerves. If chronic headaches are interfering with your life, call Regional Pain Care Center, or book an appointment online.